Nowadays ,many users do most of the things within Linux without using the Linux terminal but there are reasons to learn how it can be used. • The Linux terminal provides access to all of the native Linux commands and command line applications that provide more features than desktop applications. • Another reason to learn how to use the terminal is that, online help-guides contain Linux terminal commands which help to solve problems with your Linux environment. The reason behind this is that ,users use a wide array of various desktop environments and different Linux distributions. The terminal commands are easier than writing full graphical instructions for each and every combination. 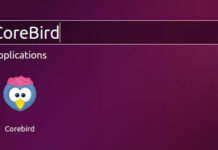 When using Ubuntu it is actually easier to install software using the command line than to use the graphical software tools available. The apt-get command provides access to every single package in the Ubuntu repositories whereas the graphical tool is often lacking. In this guide, we are going to help you with a number of different ways to open a terminal from which you can choose the best and apt one for you! The easiest way to open a terminal is to use the key combination of CTRL, ALT, and T.Simply press down all three keys simulataneously and a terminal window opens. 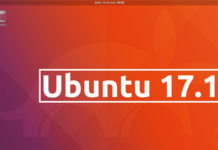 Bring up the Ubuntu Dash by clicking the symbol at the top of the Ubuntu launcher or press the super key on your keyboardfor amoregraphical approach. Type the word “terminal” into the search box and you will see the terminal icon appear. You can open any terminal from the above by just clicking on its icon. Click on the top icon on the launcher or press the super key to bring up the Dash. Now click on the “A” icon in the bottom of the Dash to bring up the Applications view. You can now scroll down until you find the terminal icon and click it to open it. After so, click on the “system” category.You will now see all of the applications which belong in the system category. One of these icons will be for the terminal. To open the terminal click on the icon. Another way to open a terminal is to use the run command option. To open the run command window press the ALT+ F2 keys together. To open the terminal ,type gnome-terminal(full name of the terminal application) into the command window and click on the icon to start the application or simply press return. There may be times, however, where you want to switch to a terminal which isn’t linked to the current graphical session as in the methos discussed above. To switch to another terminal press CTRL, ALT, and F1 together. You will need to login as you are essentially starting a new session. You can also use CTRL, ALT and F2, CTRL ALT and F3 and all the way up to CTRL ALT and F6.To get back to your graphical desktop press CTRL ALT and F7. Previous articleIs there a Need for Antivirus Software for MAC? 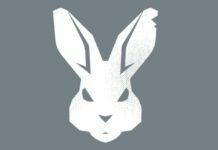 Next articleUbuntu Default Application Matters a Lot! !